In early 2009 we started asking people on the street about their lives in San Francisco, and what they think of emergency preparedness. Check out this video of what people hanging out along the Embarcadero thought. On November 2, 2011 Ulysses Levy, DEM Dispatcher, received a call from a male reporting his wife was about to give birth. The caller stated that he could see the baby’s head crowning. He immediately verified the location and sent the call for dispatch. He advised the caller that help was on the way and began processing the call according to protocol. Ulysses gave the caller clear, concise pre-arrival instructions. The caller placed the phone on speaker in order to assist with the birth. All activity could be heard via landline and he remained calm and collected throughout the process. At one point the baby’s head retracted and Ulysses along with the caller changed course, which resulted in a successful delivery. The baby could be heard crying in the background. He continued to give instructions, and verified breathing and airway until paramedics arrived. The day started with our new friends at a local eatery for a traditional breakfast which grew from the original team to everyone we had interacted with during the week to say goodbye. For a brief time, the discussion was less about earthquakes and damage and more about the shared experience as friends. Afterward we were taken to the same building we began in, the Crisis Center located in the former parks and gardens department, one of the few municipal buildings still usable. 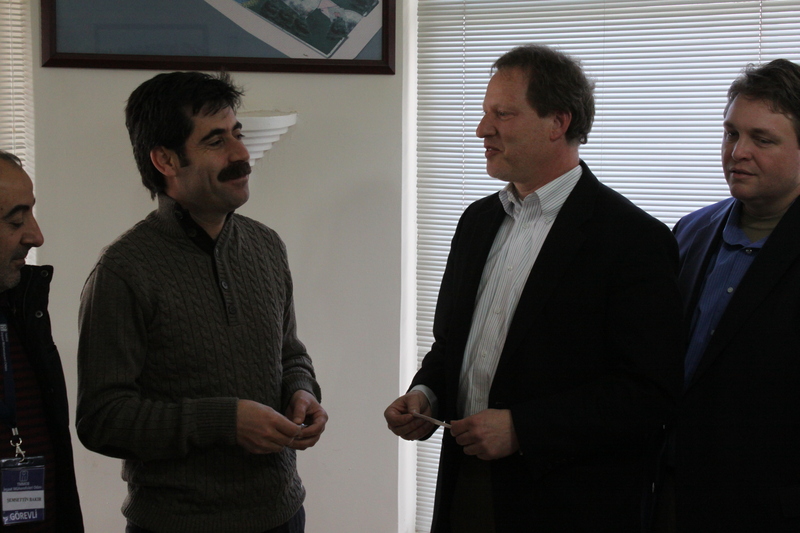 When the mayor arrived he asked to hear our thoughts and recommendations on the situation in Van. Given the enormity of the circumstances, we each picked one or two of our thoughts that we felt had the highest priority and shared those. I told him I thought his administration was providing admirable leadership and doing an amazing job of keeping people focused given the challenges they faced and thanked them for allowing us to interrupt their important work so that we can learn more about their situation. 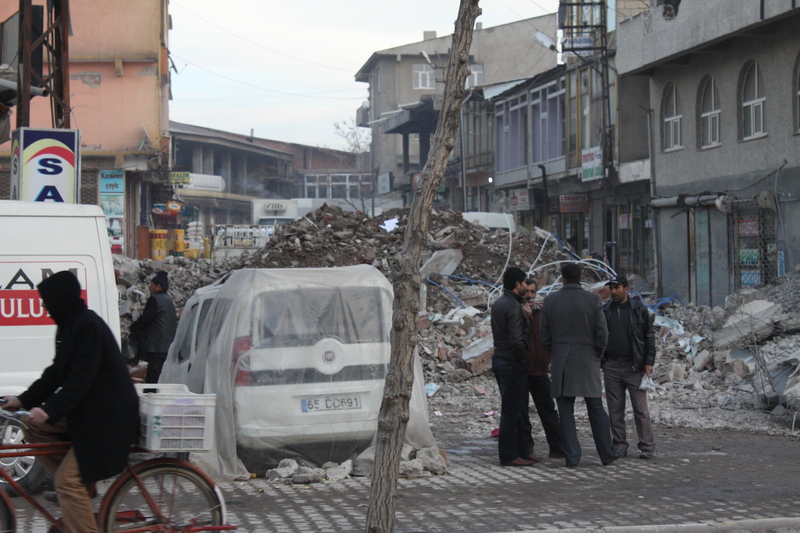 The people of Van are the very definition of Resilient. But without leadership at the community level, individual resilience will begin to wane and as people grow frustrated they will begin to act more like refugees than survivors. In an effort to prevent that from occurring, we recommended several projects whereby the council members could help to build community and engage them as a whole in doing work as a group to care for each other and begin repairing the town. I told the mayor that this was more than a local government visiting a local government, but that it was one community linked to another community, as members of their community who now live in ours was the nexus for this mission. in their shadow. Both the engineers in our group stressed that this was a very dangerous situation and we respectfully suggested that the municipality work with the community to relocate their shops and other commerce until the areas could be secured. The engineers went on to recommend that changes be made to both the way construction was done and the building codes now so that during recovery they didn’t inadvertedly recreate the same scenario. Fuad drew examples of how very simple construction changes would prevent these buildings from collapsing. Lewis acknowledged the difficulties and the challenges that the mayor faced and shared that this was a common experience among elected officials facing disaster and told him he was not alone. He also recommended that Van take advantage of low cost or free mechanisms to raise funds and awareness such as social media and to bring tourism back to Van so that they can recover their economy. After the discussions we presented the mayor with a gift from Mayor Ed Lee, After the Ruins, 1906 and 2006: Rephotographing the San Francisco Earthquake and Fire, which he graciously received and expressed his thanks to the mayor and the City of San Francisco as well as the Fleet Week Association and Bechtel. The mayor asked one thing: that Van not be forgotten. I pledged to him as just as others had told our story for the past hundred or so years, we would continue to tell his. Today took us to the other side of Van Lake to the municipality of Ercis which was the epicenter of the first earthquake. The damage was extensive, even with debris removal well under way in areas of the community, it was quite obvious from the remnants of buildings still standing that this was far and away the worst hit by the first quake. It once again demonstrated that the old practice of not enforcing building codes ultimately harmed the community in ways never imagined. 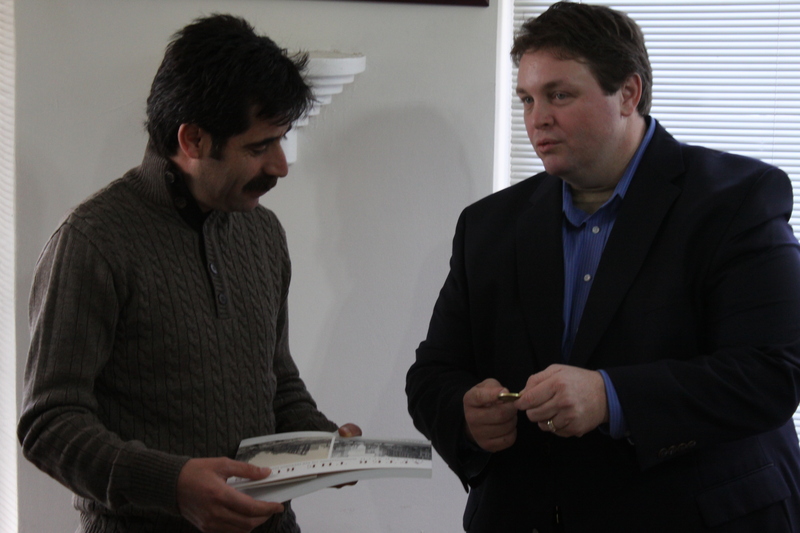 In our meeting with the mayor of Celebibagi, he was committed to never allowing such occurrences to happen again. He pointed to having enforced the building code since being elected in 2009 and the fact that no construction since 2009 suffered extensive damage. The healthcare system is largely nonexistent in this area; where Van has functional clinic level care, Celebibagi has nothing. The nearest acute care hospital is 400 km away, which is a five to six hour car ride. While in the business district of Ercis we witnessed how the community was trying to continue on. 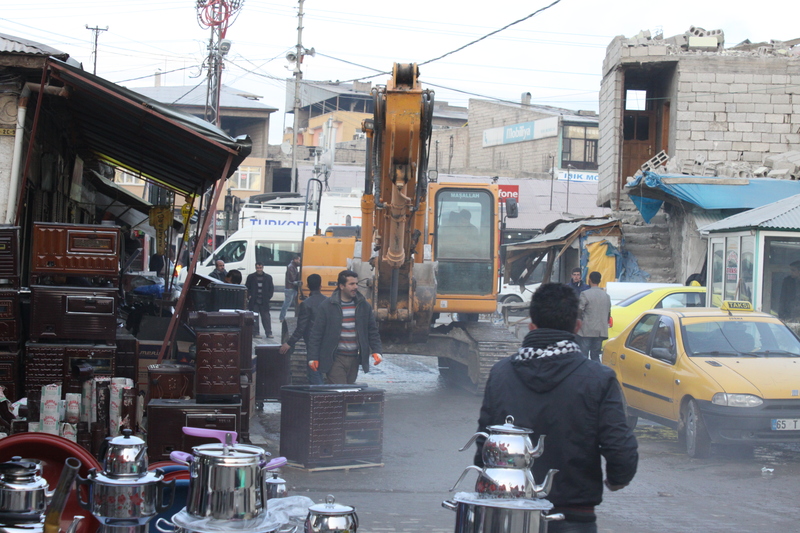 In among the barely standing remnants of buildings, and piles of debris, shop keepers set out their wares on the street, moving them when they had to in order for heavy equipment to pass. This area suffered hundreds of deaths and while touring we heard firsthand the story of a man who lost nine members of his family in the building we were standing in front of. Recovery is likely to take years. But the community is strong in spirit and in spite of the challenges will likely do their best to return life to normal sooner rather than later. After spending the day in Ercis we were taken to visit the Van Fire Department. They did everything they could with their 46 personnel and 4 apparatus on the day of the earthquake. Their one and only fire station is condemned and they have moved personnel and their dispatch center to tents in front of their building. The toll on the personnel is indeed great as many of them lost their homes in the earthquake and now simply live at the station. While they respond to a multitude of types of calls, they generally don’t have any medical training and are totally reliant on the ambulance service run by the governor. We asked them what they needed and they provided a list of wishes ranging from more apparatus to personal protective equipment to training. Currently, they share 6 SCBA’s and do not even have boots for their 20 newest members. Upon returning to San Francisco, we will begin sending requests to the fire fraternity to see what if any support might be rallied for these fellow heroes in a far away land. This trip has been eye opening for a number of reasons; it has strengthened our resolve to make San Francisco the safest place possible, and truly appreciate the community and public safety departments that come together every day. It has also taught us what true resiliency is. Today was our first chance to get out in the field and really take a look at the earthquake damage and the living conditions in the central part of Van. 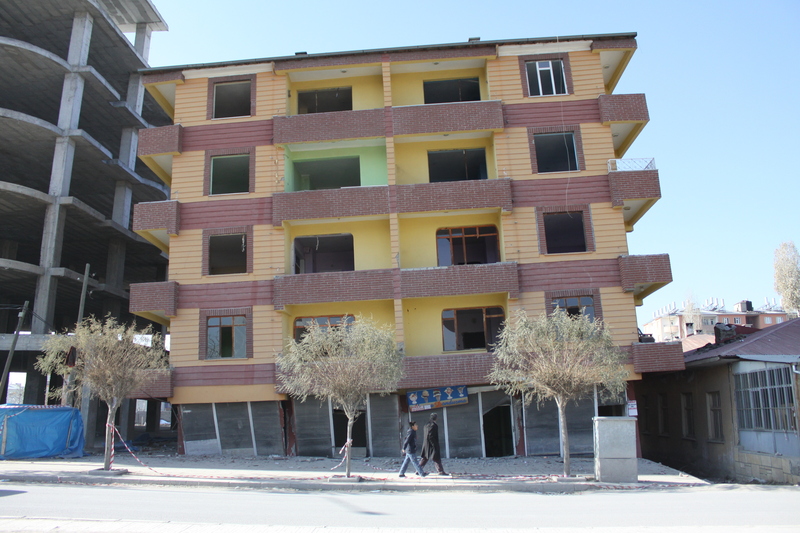 According to our guides, an estimated 70% of all the buildings in Van are not engineered or built to any sort of code. This undoubtedly contributes to the conditions we witnessed today. Our first stop was a settlement in the “suburb” just outside the city center where most if not all the buildings were constructed by those who lived in them, not professional contractors. 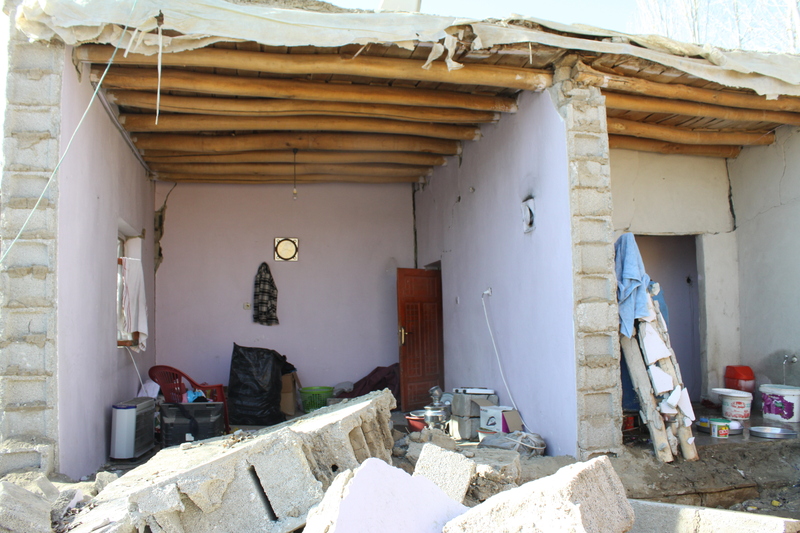 Many of them are collapsed and are unlivable, and all the population resides in tents around the rubble. Even before the earthquake, living conditions were difficult in this area, and now many would find them completely unbearable. In spite of the difficulties, we found the families living there to be in high spirits and extremely hospitable, maintaining as positive an attitude as possible, all things considered. 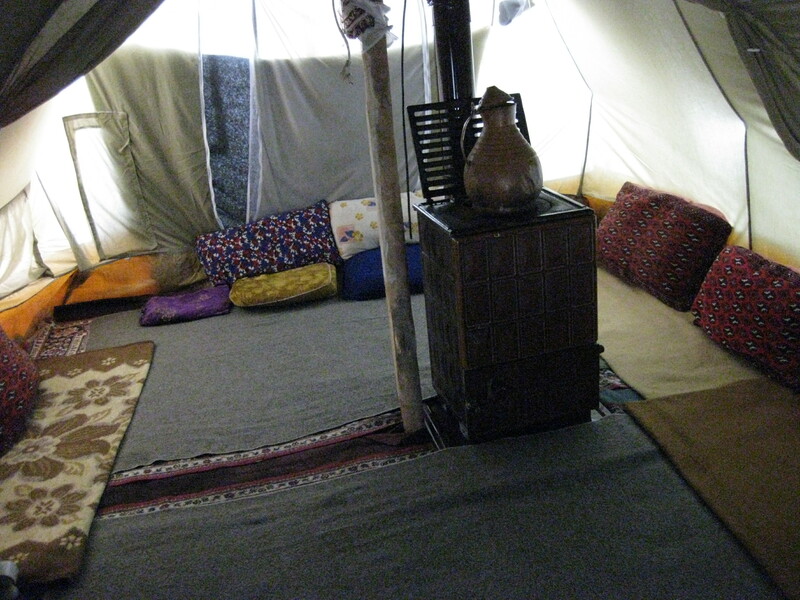 While the outside conditions are very dirty, we were invited into one of the tents and found it to be immaculate. The children well cared for, and living standards were greater than what one might expect. In many instances, they are able to get water and electricity in spite of damaged buildings. However these living conditions are not suitable for the harsh winter that is approaching and the municipality is concerned about moving them into a more robust structure. 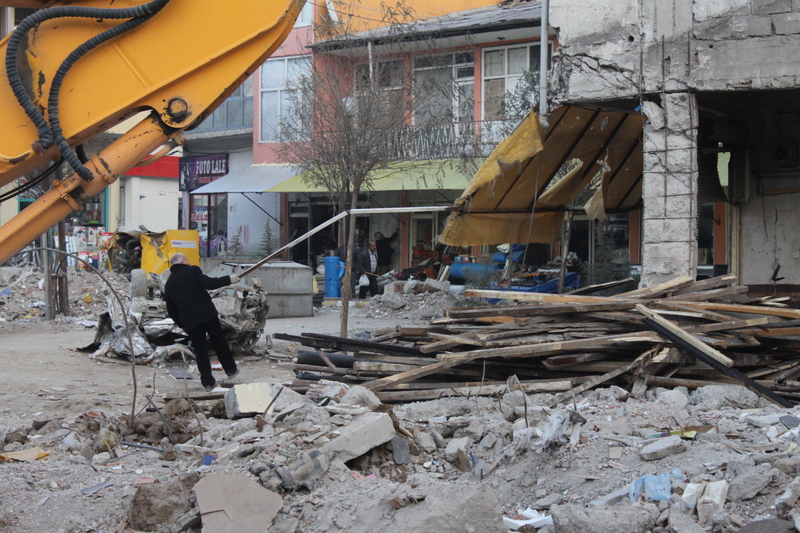 From the suburb, we were taken to the city center and had a first-hand look at the damage. Many buildings were on the verge of collapse and yet commerce continued as best as possible in spite of the obvious danger. We were also shown buildings that were supposedly built to the code, but suffered moderate or complete failure to one or both of the earthquakes. Highlighting the fact that enforcement of the building code is a huge challenge in this area. The municipal government has recently begun to try to enforce the code to a much higher level. Our guide told a story of a developer who was insistent about building a 10 story building when they would only allow him to build a five story building. As a result of their tenacity, the five story building he ultimately constructed survived the earthquakes. He came back and thanked them afterwards. We were also shown a Distribution Center where the municipality distributes food and services to the surrounding neighborhoods. They operate 9 such centers around the central part of Van where they feed some 30,000 meals a day. The services include a children’s daycare, laundry, medical and shower facilities. In an effort to document the face of disaster the Fleet Week Association/SF DEM team traveling in Van, Turkey area sent back this video… take a look and let us know what you think. San Francisco is a community of immigrants and through this community link the City received a request for assistance from the municipality of Van, Turkey who was recently hit by a 7.1m earthquake. Subsequent aftershocks continue and include one of 5+m that caused further damage. We approached our partners at the SF Fleet Week Association Humanitarian Aid Program who have generously funded a fact finding mission comprised of 5 individuals representing the City, SFFW and the private sector. We arrived in Van today and had our first meeting with one of their elected officials who described their current circumstances. 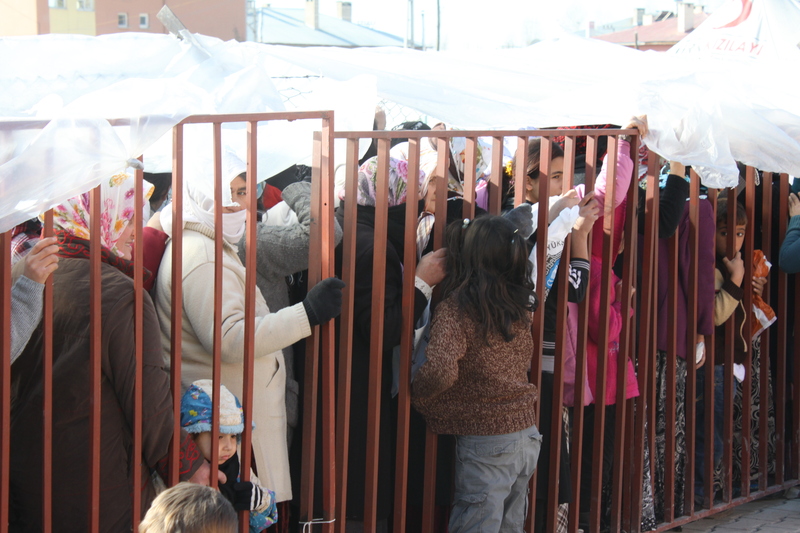 Most of the population that remains, some 150,000 of a city of 350,000+, are living in tents outside their homes which raised concerns due to the rapidly approaching winter and the weather getting much, much colder. Our primary mission here is to understand the situation and determine if the City, through our many partners, will be able to offer assistance. Tomorrow, we plan to visit one of the Crisis Center and survey the central district of Van. 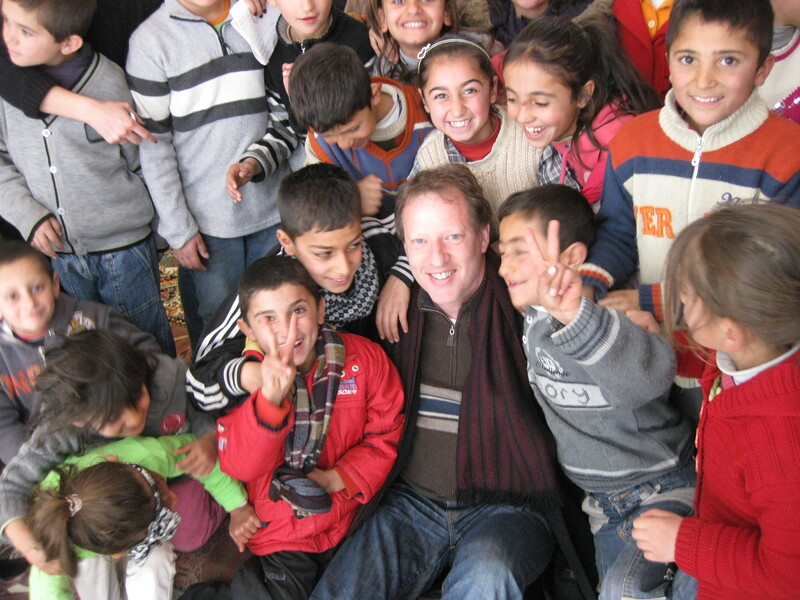 The following video is Deputy Director, Rob Dudgeon sharing the latest during the Van, Turkey Mission.